This gift includes the very best of everything. They'll be able to sit back and savour a chilled glass of crisp rosé and choose from the extravagant luxury chocolate selection for an extra special treat. The pretty flowering rose plant gives them something extra to enjoy too. 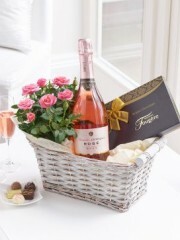 Here's a gift that combines so many favourites: a beautiful rose plant, irresistible chocolates and fine champagne. 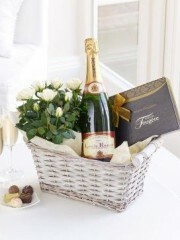 Presented in a lovely wicker basket, it will mark any occasion perfectly. The roses are ready to plant - but not before a chocolate or two, and perhaps a celebratory glass of champagne. This vase full of pretty pink and white flowers really is the perfect gift. It's ready to display, easy to look after and it's filled with a selection of favourites. This indulgent gift box combines a bottle of Champagne from one of the world's most esteemed Champagne brands, Laurent-Perrier, with delicious chocolates from Maison Fougère - a perfect combination for any celebration. This is an exquisite bouquet that’s guaranteed to make someone feel very special. We’ve chosen the finest large-headed Grand Prix roses to take centre stage and set them against deep red germinis and fresh green carnations to create a breathtaking gift. Gorgeous gift box containing Louis Rozier Champagne, we also give delicious chocolates supplied by Maison Fougere - this is the perfect combination for every celebration. This gift includes the very best of everything. They’ll be able to sit back and savour a chilled glass of sparkling rosé and choose from the extravagant luxury chocolate selection for an extra special treat. 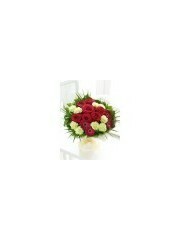 The pretty flowering rose plant will be a lasting memory of this altogether fabulous gift. 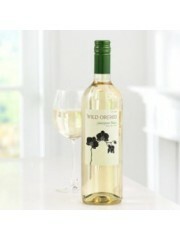 A crisp, fruity Sauvignon Blanc sourced from the vineyards at the foothills of the majestic Andes. Pale straw in colour with vibrant tropical fruit aromas, this fresh white wine has flavours of lychee and guava with a citrus twist on the finish. Serve chilled as an aperitif or partner with Seafood. 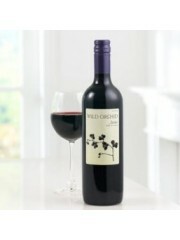 This carefully selected Merlot is sourced from vineyards at the foothills of the majestic Andes. Intense purple in colour with ripe cherry and plum aromas, this medium-bodied red wine has gentle rounded tannins with a flavourful finish. Partner with pasta, cheeses or something spicy. Anniversaries are a wonderful time to celebrate love and happiness, and with some gorgeous flowers from Flowers Dundee you can impress your partner and show them how much you care about them. 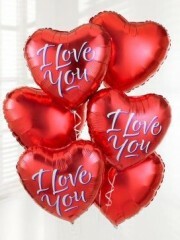 Here at Florists Dundee we have a whole section dedicated to this occasion and we can send balloons bouquets, chocolates, wines and champagnes to your loved one to show them how much you love and appreciate them and make them feel really special at the same time. Flower Delivery Dundee will make sure the flowers we send a beautifully wrapped and delivered directly by our team of florists. Flowers Dundee want to show you our beautiful fresh flowers and combinations to celebrate a couple’s time together. Florists Dundee do gifts for men and women and we can deliver anywhere in the Dundee area. You can order the flowers online and the hardest part is choosing which of our many elegant bouquets you want then let us at Flower Delivery Dundee make up your chosen flowers or gifts. Here at Flowers Dundee we only ever use the finest flowers available in your bouquets and arrangements. 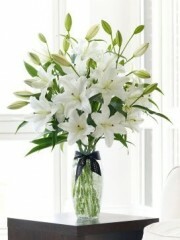 We never use anything less than the highest quality flowers in our bouquets and arrangements. We at Florists Dundee know that even one bad flowers can completely spoil what would otherwise be a perfect floral bouquet. That’s why we only ever use the finest flowers available. All the flowers we use here at Flower Delivery Dundee come from the gorgeous country of Holland where some of the world’s finest flowers are grown. The flowers are delivered straight to our Flowers Dundee shop to ensure that they are fresh and recently cut. What’s more the flowers are delivered to our Florists Dundee shop several times a week so that we always have a constant supply of fresh flowers for you and your recipient. Here at Flower Delivery Dundee we have over 40 years of experience working in the flower industry. We are experts in the business and know everything there is to know about being the best flower shop around. So when you come to Flowers Dundee you know that you are putting your flowers into the best of hands. Here at Florists Dundee we have a team of highly dedicated florists who are passionate about their work here. They love creating beautiful bouquets and arrangements for you and your recipient and never fall from their very high standards. 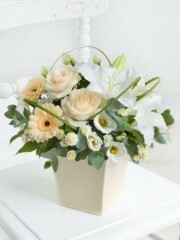 Here at Flower Delivery Dundee we have a great delivery service for when you find yourself too busy to deliver flowers. 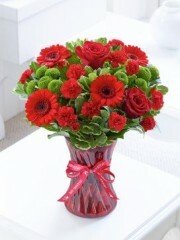 We at Flowers Dundee can deliver your flowers to wherever your recipient is, be it there home or their workplace. 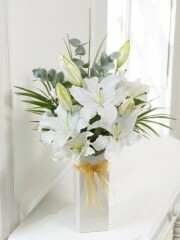 They will be so delighted when they receive a beautiful bouquet of flowers delivered by Florists Dundee. Here at Flower Delivery Dundee we can even deliver your flowers the same day that you make the order. As long as you make your flowers order with Flowers Dundee before 3pm in order to give our florists time to make the bouquet to our high standard then your flowers can be delivered the same day. If you have any comments or queries then feel free to contact us here at Flower Delivery Dundee as we would love to hear from you. You can phone or email us or even come into our Flowers Dundee shop.